With the holidays on their way, everyone around here is starting to think about what new tools would really enhance our workshops if we were to receive them as gifts. 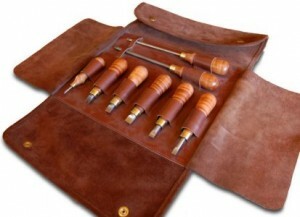 Lee Laird’s wishlist clearly shows a preference for hand tools, but wouldn’t you expect just that from the guy who writes about and demonstrates hand tools in his spare time? Maybe you’ll find something on his list that you might like to add to your own! 1. DMT Dia-Flat Lapping plate – Such a good tool! And since this is my wish list, I’ll add that efficiencies can go up with a second in the shop. One can be used for sharpening (flattening a stone) while the other plate can be used to coarse flatten the back of a plane iron. 2. Magni-Focuser – Provides a range of magnification (with just a quick swap of different lenses) to either off-set for existing vision issues, or the difference between sharpening a hand saw and perhaps removing a hidden splinter. 3. Lie-Nielsen Large Router Plane with adapter for small blades – Time to put my old, tired Stanley Router Plane up as a visual piece. The Lie-Nielsen version is just so much smoother to operate, and added flexibilities abound. 4. Lie-Nielsen #6 Fore Plane – Another replacement for a cool, old Stanley plane. Working with both types, it’s just so easy to justify the new plane, with its fit and finish out of the box, and the accuracy that comes with no struggles. 5. Lie-Nielsen Screw Driver Set w/ Case – This set of screw drivers have the perfect tip sizes (width and thickness) to fit the screws on Lie-Nielsen’s hand plane line. It is somewhat of a lost art, to have a screwdriver that properly fits each screw. Sure a different driver can be made to work, but it’s so easy to cam out and bugger the screw head if the driver and screw don’t match. 6. Lie-Nielsen Improved Workbench – The new design (as of 2011) is such a rocking (it’s truly solid, but just using a colloquialism) bench. The change to a 4″ thick top increased the weight, and from side-to-side and end-to-end it is so much easier to clamp to the top. Just find it a home on a level floor, and you’re set. Oh yeah, and make sure you get me a right-handed version, since both left and right versions are available.